Fashion Snoops is an online forecasting trend service that reports on color, design themes, key items, details, etc., for women, men, youth, kids, accessories, beauty, home, and culture. To learn more and subscribe to their services, go to fashionsnoops.com to view their amazing site and check out their inspiring blog, fashionsnoops360.com. 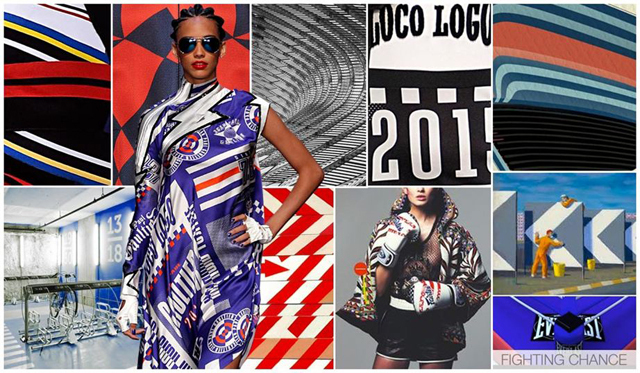 Get a first glance into the top womens’ and mens’ graphic trends for Spring/Summer 16 as forecasted by Fashion Snoops. 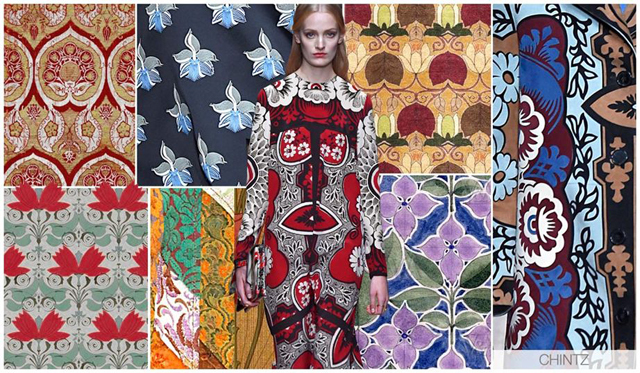 From Asian influences within Japonism to the evolution of the Arts and Crafts movement in Chintz, the imagery is vast and inspiring for women. From a recent trip to Iceland, to a love of hand drawn conversationals - novelists, artists and destinations have all been part of our research, strengthening each call out for men this season. We have compiled this information into a special report for Fashion Vignette members, courtesy of Fashion Snoops – where the full report is available exclusively to subscribers. The full version of the trend report is available now for individual purchase in the Fashion Vignette Trend Shop. We have brought together the strongest pattern expressions for Women for Spring 16. From Asian influences within Japonism to the evolution of the Arts and Crafts movement within Chintz, the imagery is vast and inspiring. Chintz in the past has been used to describe, cheap and gaudy imagery, but this is certainly not the case here. We were Inspired by old wallpaper designs, authentic Chintz florals and English textile designer Charles Voysey is our main inspiration. The designs are simplified versions of the expected William Morris, as the background is cleaner, and the designs are flat in color and obviously heavily repeated. Fighting chance is our athletic graphic expression, as we see go-faster stripes, way finder imagery and logos suitable to the boxing ring. The colors are equally sporty. Linear Landscape is a new expression, as we see illustrated lines hinting or suggesting where the lines of the landscape lie. 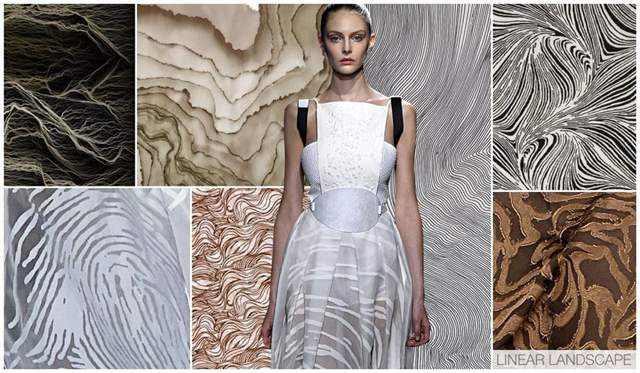 We are especially enthralled by the sense of movement and fluidity within this trend. The color palette is exceptionally soft, as this expression will sit within a Zen like women’s trend- Retreat. Within Natures lens we dust off our magnifying glass and take a close up look at the beauty that Mother Nature has to offer. Butterflies and bugs sit contently with imagery mimicking a micro-organism or bacteria, as well as zoomed in leaves and under water foliage. 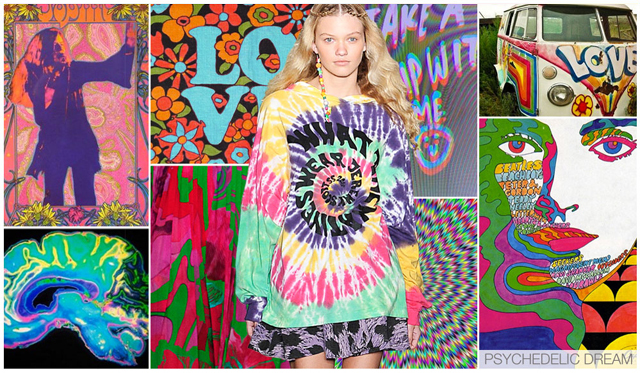 Psychedelic tie dyes and trippy verbiage come together with even more intense and fun florals as we imagine a teenagers wildest imagination, and the subsequent colorful world. Authentic 70s graphic posters are particularly inspiring! For Spring 2016 we have brought together the thirteen strongest expressions, inspired by the runway, our current surroundings and what is particularly inspiring us right now. From a recent trip to Iceland, to a love of hand drawn conversationals - novelists, artists and destinations have all been part of our research, strengthening each call out. As many plants are essential foundations for life sources, we research into their growth, needs and exceptional beauty. 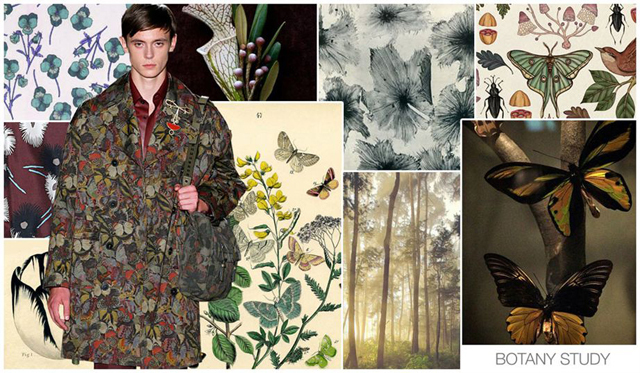 Botanical illustrations are key as we now look at the florals in a scientific manner. Sketched imagery of other wildlife such as bugs and butterflies also comes into play as the color palette is natural with brown undertones. Awe-inspiring landscapes tell a colorful story. 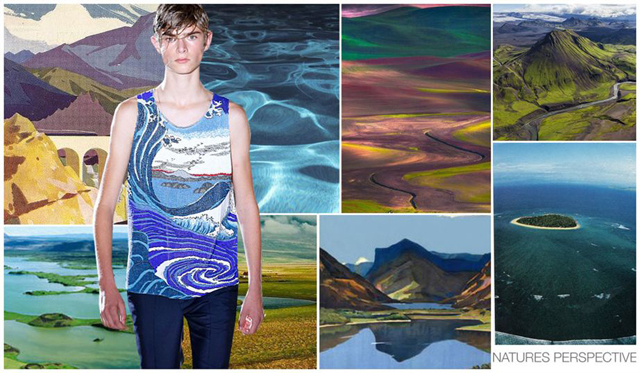 Tapestries sit with aerial photo real shots of desert islands and more abstract versions of water and natural surface texture. An editors recent trip to Iceland has particularly inspired, not the icy mountains that you’d expect but the rural colorful countryside with deep shadows from the lava fields. Named after a test used to analyze a patient’s state of mind, this theme challenged us to question what we were looking at. 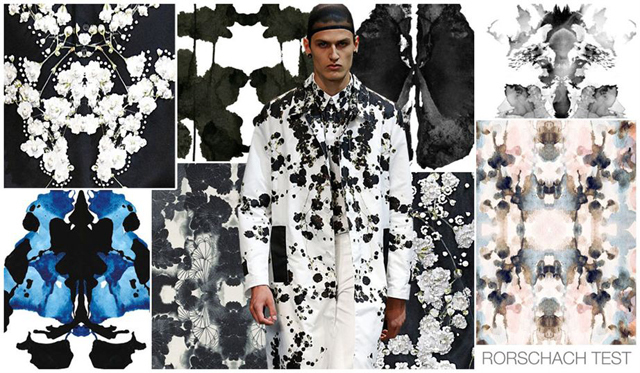 The abstract collection of ink drops found on a Rorschach Test, are minimal in color and enigmatic, as we also look at brain scans and imagery which can be mimicked into this shape. 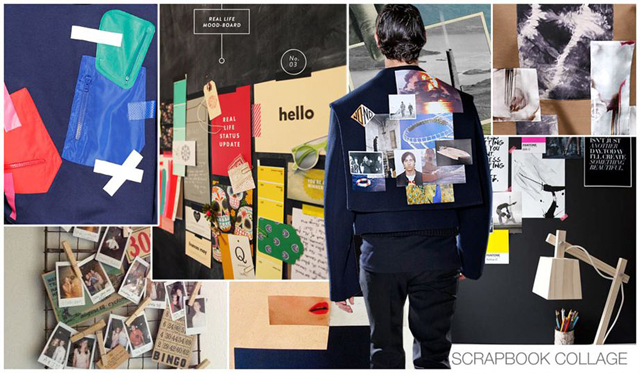 Scrapbook Collage is all about hand crafting the collage, ignoring the digital talents and working with paper, scissors and tape. It’s a modern evolution of Dadaism. We were inspired particularly by Raf Simons, who literally laid out his life on the back of oversized sailor collars. This personal quality is something to be admired as he showcased images of his parents, photographs from family vacations and even his passport photo adorns a simple button down. This theme consists of images or patterns that have somehow been distorted by a computer glitch or a rogue frequency disruption. This expression combines and shows the evolution of optical illusions and digitally engineered blurred graphics creating a new image. Artist Nicholas Ballesteros has been a key inspiration. The complete graphic reports for Spring/Summer 16 are available now for purchase through the Fashion Vignette digital Trend Shop. Additional comprehensive forecasting reports are also available across all markets. Click the banners below or visit our Trend Shop to purchase your reports today. 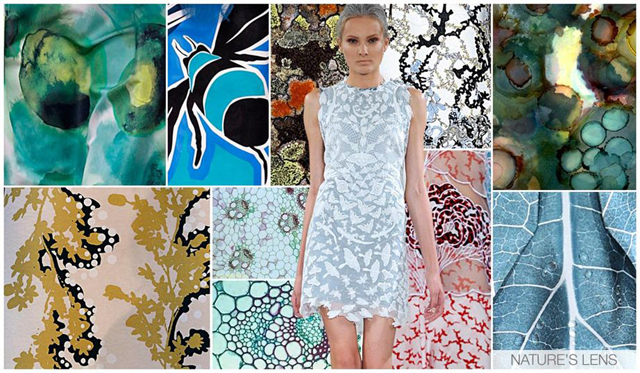 This S/S 16 Women’s Graphics forecast report by Fashion Snoops includes in-depth coverage & analysis by Fashion Snoops of emerging print + pattern graphic trends for the upcoming season. Visit our trend shop today to learn more! 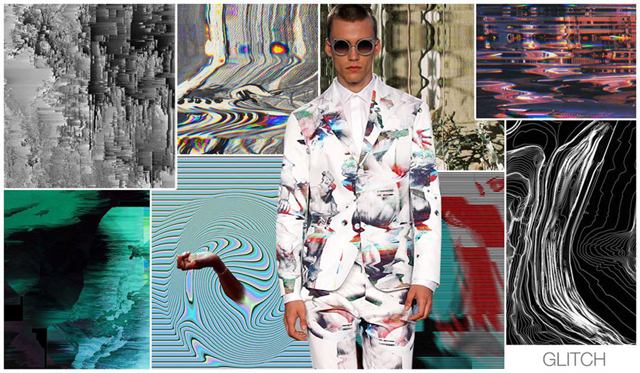 This S/S 16 Mens’ Graphics forecast report by Fashion Snoops includes in-depth coverage & analysis by Fashion Snoops of emerging print + pattern graphic trends for the upcoming season. Visit our trend shop today to learn more!